From July 7th until 30th September 2014, a special ticket discount will operate between the Keighley and Worth Valley Railway and the Brontë Parsonage Museum. The organisations, which are two of Haworth’s biggest attractions, have entered into an exciting new partnership for this year. 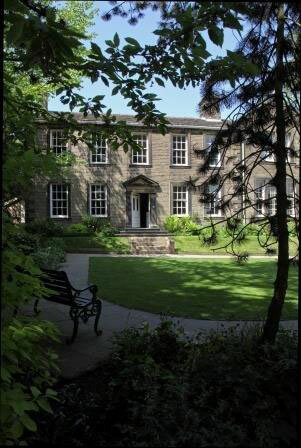 Why not explore the beautiful atmosphere of Brontë Country via the Keighley and Worth Valley Railway – “The Railway Children’s Railway” – and then visit the Brontë Parsonage Museum, home of the famous Brontë sisters, whose romantic novels were very much inspired by Haworth and the local area. Also, on certain days when the Orange timetable is in operation, why not use the KWVR’s Vintage Bus service which connects Haworth and Oxenhope Stations, almost directly to the Brontë Parsonage Museum (This service is free to Day Rover ticket holders). More details of these services can be found on our website or pick up a leaflet on the day. Visitors to the KWVR, who are purchasing Day Rover tickets, will be given a voucher which entitles them to discounted access to the Brontë Parsonage Museum and, likewise, Brontë Parsonage Museum visitors will be given a voucher for discounted KWVR Day Rover tickets. KWVR Local Resident Card holders and Members will also be given a voucher when they purchase a Day Rover ticket. In order to reclaim the discount, YOU MUST produce your voucher WITH the Bronte Parsonage entry ticket or KWVR Day Rover tickets(s) – you will not be able to reclaim the discount otherwise. The discount will only apply to the corresponding number of tickets that you produce when you wish to reclaim the discount. This discount will be valid for a month from date of issue of tickets and can be reclaimed any-time within that month. This offer is not valid on special event days or days when normal fares are withdrawn. This offer is also not valid in conjunction with any other offer.